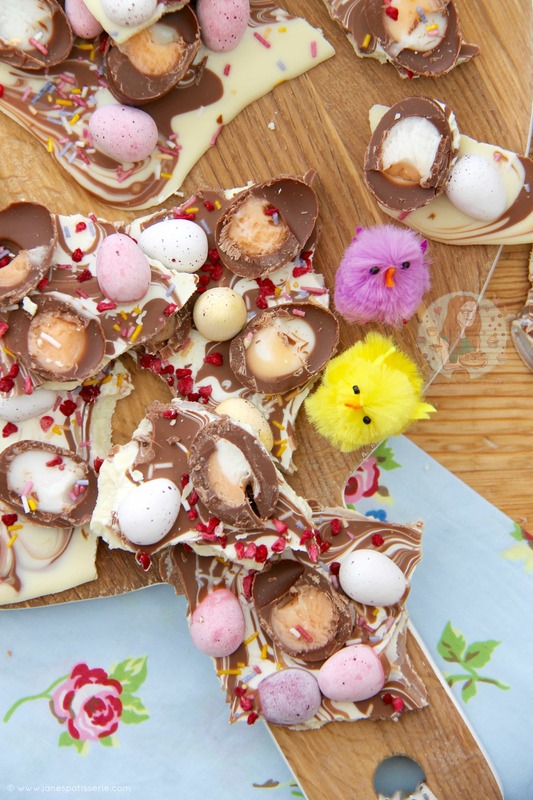 A simple yet delicious idea for Easter – an Easter Chocolate Bark filled with your favourite Easter treats! I have obviously posted a few different bark recipes by now, and as much as you can probably get the idea yourself, I love to show you slight differences in them, and what particular treats I use! Plus, I had many requests for an Easter version! The wonderful thing about Chocolate Bark is that you can literally put whatever sweets & treats you want on them. 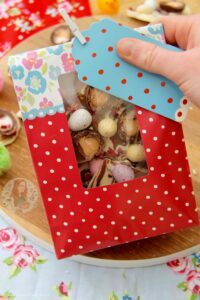 Such as with my Valentines Bark, I went for a pink/red theme to suit the day.. and my Christmas Bark I went with minty/Christmas themed sweets. These little treats really are so adaptable, so even if you don’t like Mini Eggs, or Creme Eggs, just replace them with the Easter Treats you do like! 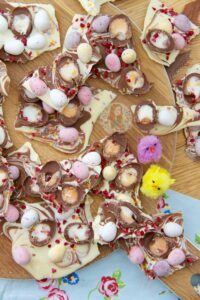 One thing I have done in the past is make Bark with leftover Easter Chocolate. I KNOW RIGHT, LEFTOVER CHOCOLATE?! WHAT?! But seriously, sometimes I get given so much it’s impossible to eat it all.. or maybe I ordered too much online and now I need to use it up. 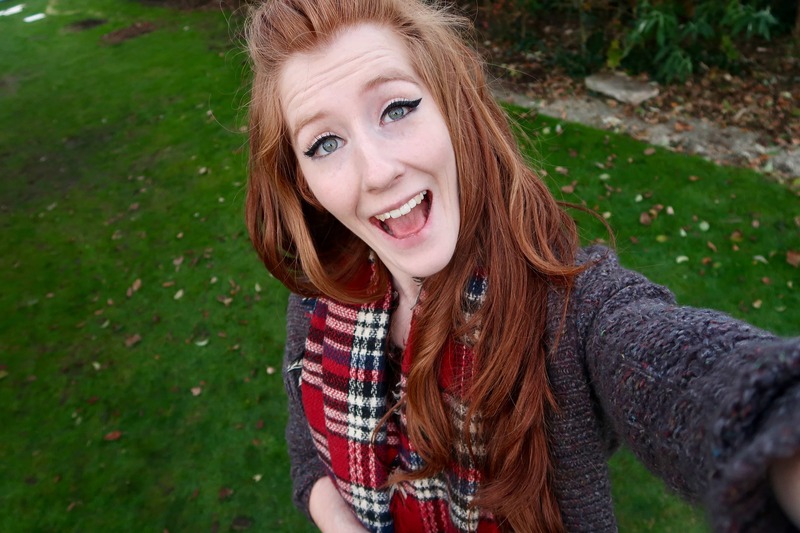 I decided this year to pack mine up in the cutest bags I found in Waitrose, I just love them! 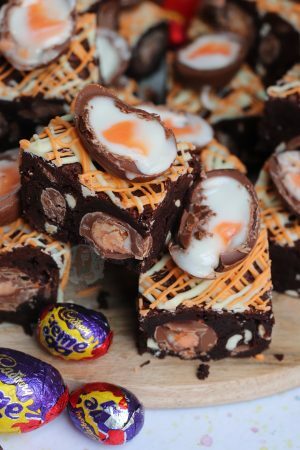 But anyway, seriously – whether you make this as a last minute gift idea for Easter, or make it as a delicious treat for after, its always a big hit with everyone. 1) Line a 9×13″ Tray with parchment paper – leave to the side. 2) Prep what sweets/Chocolate’s are going on your Bark – For my Mini Eggs I decided to leave them whole, but my Mini Creme Eggs I put them in the fridge for half an hour, then cut them in half carefully. 3) Melt the White Chocolate in a Heatproof Bowl over a pan of Simmering Water (a double boiler) don’t let the bowl touch the water! 4) In a separate small bowl, melt the Milk Chocolate either on another double boiler, or in the microwave! 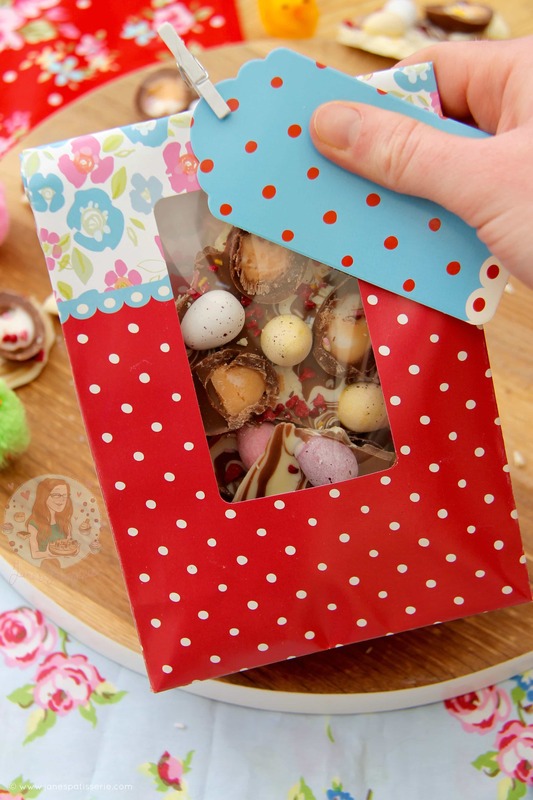 5) Pour the melted White chocolate into the tray and spread so its even, pour over the melted Milk Chocolate and swirl it with the end of a cake tester to make a pretty pattern – Sprinkle over your decorations and leave to set – I do this in the fridge! This lovely little treat will last for weeks if kept in the right conditions – Mine never lasts this long but I give it a 1 month date from making depending on what you use as Chocolate Use-by-dates are so long! 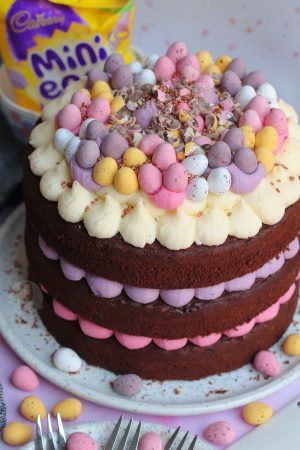 As this has creme eggs in it, and the weather is being weird recently, I keep mine in the fridge so it doesn’t run everywhere! 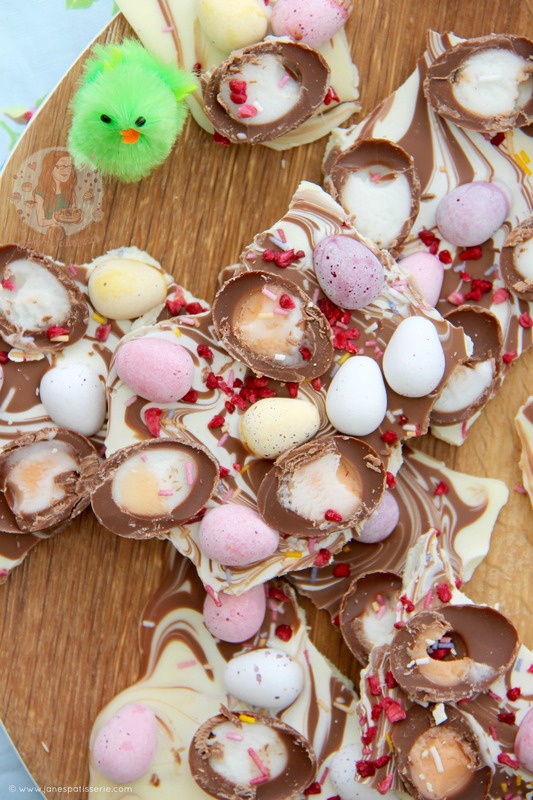 You can obviously use whatever sweets & chocolates that you fancy such as smarties eggs, caramel eggs, oreo eggs or even marshmallows, but these are my personal favourites and I had oodles of them left over! 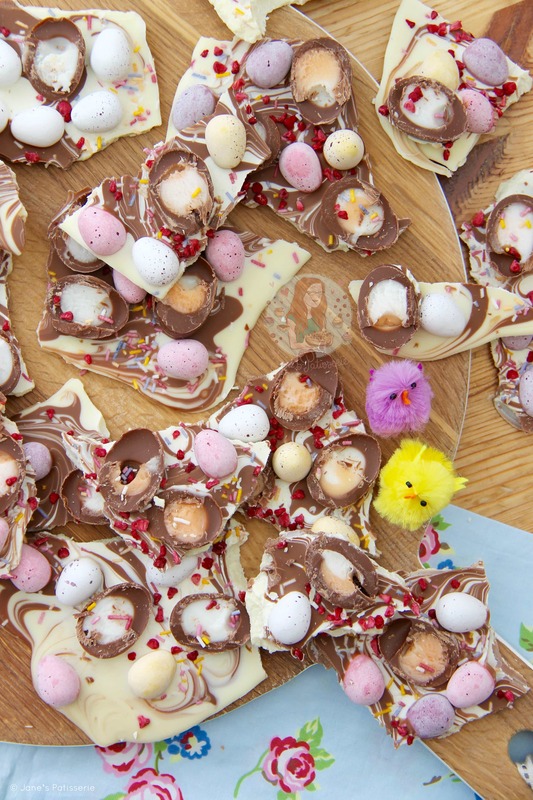 Find my other Easter & Sweets Recipes on my Recipes Page! Older Next post: Custard Cream Cake! Newer Previous post: Giant Doughnut Cake! 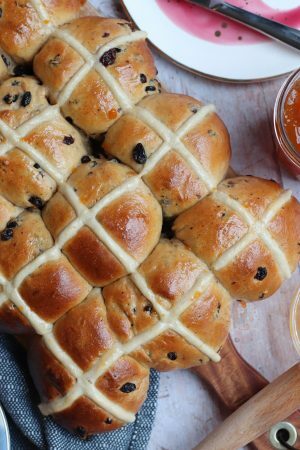 This looks delicious and would make a great easter gift. 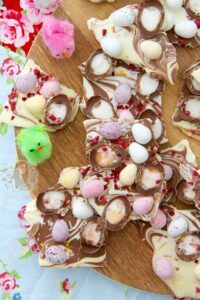 I love chocolate bark as you can put whatever you want onto it, or use whatever chocolate you like. Love that you can vary the ingredients for different holidays and seasons. 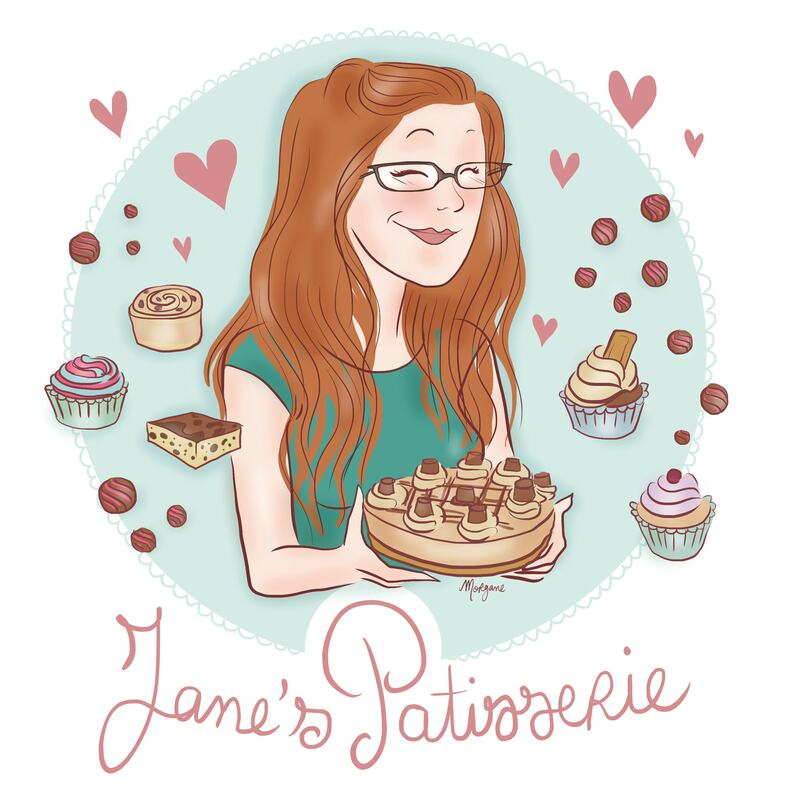 Another brill recipe Jane, thanks! Thank you Kelly! And I agree – I love bark so much, so simple but so good!